Massive, peat-smoke typical of southern Islay, yet with a dry finesse that makes up a classy package. This is becoming hard to find through many other retailers. 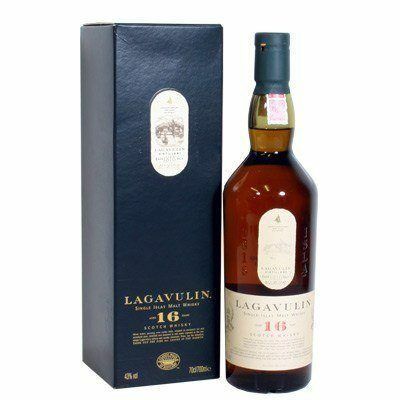 A single malt Scotch whisky miniature of Lagavulin 16 Year Old from the Islay region of Scotland.